This just-launched warm up clip from Stab’s wave pool contest highlights the world’s best non-WSL aerialists hucking it in the BSR Surf Resort. 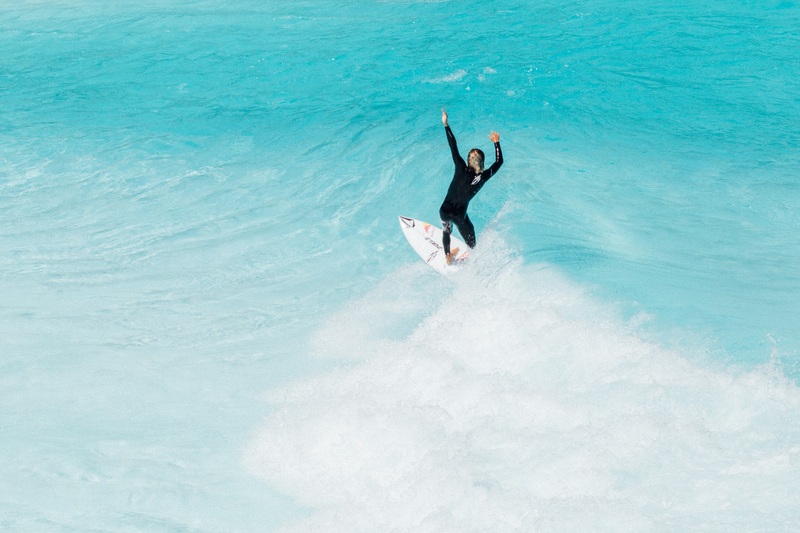 The Waco Texas facility doesn’t feature the Kelly Slater wave pool technology, instead, the crew opted for American Wave Machines’ PerfectWave tech. The symphony of compressed air blown out of chambers in sequence creates the best wave pool air section available today. After the warm up, the Stab High wave pool contest final saw Ian Crane, Eli Hanneman, Chippa Wilson, Eithan Osborne, Noa Deane and Mason Ho battle it out. The lead in the final see-sawed back and forth between Deane and fifteen-year-old Eli Hanneman. But Noa’s unique frontside big spin mid final earned the highest marks and sealed the win. Ethan Osborne took home $20K for the highest air of the competition. While the Stab High main event gave Noa Deane top prize and $25K for the win.